A clipping from the North County Times front page! Stories are very powerful. The words of real people living in real life situations have the power to touch our hearts and move our souls. In the midst of such uncertainty and scarcity, the gifts and offerings of others bring a newness and warmth to the hearts of those in need. 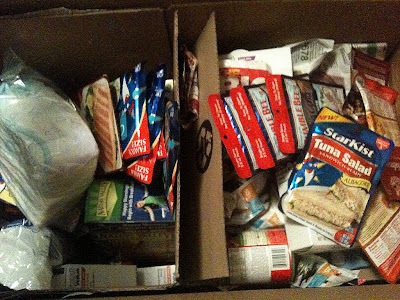 I was very blessed to receive a large and generous package of supplies from America the other day. It could not have come at a better time, as I am preparing to go in for surgery and leave my family a week alone without daddy. It will be some peace to my mind knowing they have lots of food and emergency tools and supplies with them, if something were to happen while I am in the hospital. It felt like Christmas opening the package! The kids and we were so excited!! This generous response was made possible by a collaboration of a number of people whom I am very grateful for. 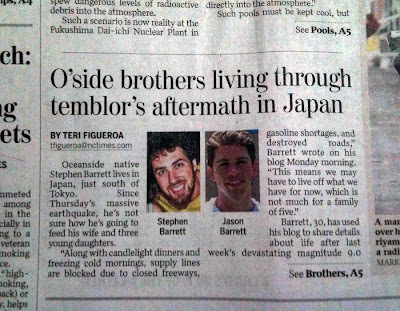 An article was published in my hometown`s local area newspaper that brought public attention to what was specifically going on with us in Japan. I have received numbers of emails, comments, and followers as a result of the article printed in the North County Times. And I am moved to tears. It is an encouragement to hear from so many and to know there are many caring people that surround us. I hope to do you all well and give you my appreciation, as I continue to tell you all that is happening and continues to happen where we are. I hope that there will be a blessing born out of all this that we all can share in! On a serious note, I will be going in for much needed hip surgery from tomorrow. I have bone shards that need to be removed and I will be unable to post anything for about a week. But I will be able to post thoughts and other information via TWITTER during my stay in the hospital. God bless you all and hope to hear from you as well. Thanks for the help, it really does go a long way!! All the way to Japan even!! -I would especially like to thank Dan Armentrout and those who worked closely with him to coordinate the quick sending of these and many more supplies to come in the days ahead. -Also I want to thank my father and mother who have been communicating with us and working together with those in the community and churches back home on our behalf. We love you and miss you very much! 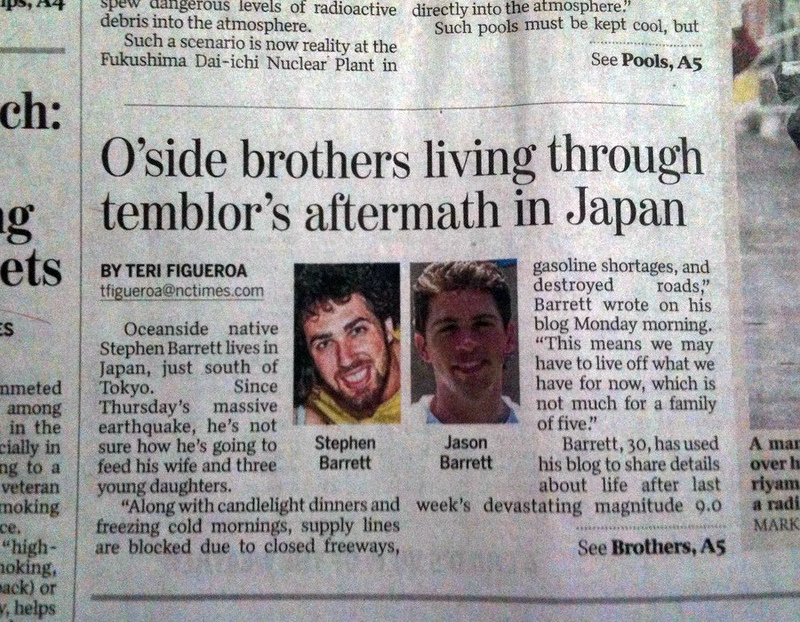 Really cool to see family and friends from back home coming together to help out Japan!